This page is a companion resource to my forensic psychology course component on juvenile justice. Where available, I have linked to the resources online. Grisso, T. (2013). Forensic Evaluation of Juveniles, Second Edition. Sarasota, FL: Professional Resource Press. Hoge, R. D. & Andrews, D. A. (2010) Evaluation for Risk of Violence in Juveniles: Best Practices in Forensic Mental Health Assessment. Oxford University Press. Otto, R., Borum, R., & Epstein, M. (2012). 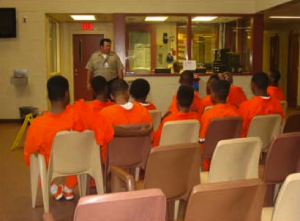 Evaluation of children in the juvenile justice system. In: Faust, D. (2012). Coping with Psychiatric and Psychological Testimony, 6th Edition. New York: Oxford University Press. Sparta, S. & Koocher, G. (2006). Forensic Mental Health Assessment of Children and Adolescents. Oxford University Press. Bridges, G.S., & Steen, S. (1998). Racial disparities in official assessments of juvenile offenders: Attributional stereotypes as mediating mechanisms. American Sociological Review, 63, 554-570. Graham, S., & Lowery, B.S. (2004). Priming Unconscious Racial Stereotypes About Adolescent Offenders. Law and Human Behavior, 28, 483-504. Poe-Yamagata, E. & Noya, M. (2005), Race disparities in the juvenile justice system. In: Race, Culture, Psychology, & Law, Chapter 21, pp. 311-325. Bonnie, R. J., & Scott, E. S. (2013). The Teenage Brain: Adolescent Brain Research and the Law. Current Directions in Psychological Science, 22(2), 158–161. Cauffman, E., & Steinberg, L. (2000). (Im)maturity of judgment in adolescence: why adolescents may be less culpable than adults. Behavioral Sciences & the Law, 18(6), 741–60. Steinberg, L., Graham, S., O’Brien, L., Woolard, J., Cauffman, E., & Banich, M. (2009). Age differences in future orientation and delay discounting. Child Development, 80(1), 28–44. Steinberg, L., & Scott, E. S. (2003). Less guilty by reason of adolescence: developmental immaturity, diminished responsibility, and the juvenile death penalty. The American Psychologist, 58(12), 1009-1018. Cox, J. M., Goldstein, N. E. S., Dolores, J., Zelechoski, A. D., & Messenheimer, S. (2012). The impact of juveniles’ ages and levels of psychosocial maturity on judges’ opinions about adjudicative competence. Law and Human Behavior, 36(1), 21–7. Davis, D. L., & Kukor, T. J. (2014). Competence to Proceed and Juvenile Courts. In S. J. Morewitz & M. L. Goldstein (Eds. 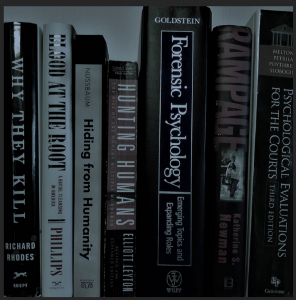 ), Handbook of Forensic Sociology and Psychology. New York, NY: Springer New York. Felthous, A. R. (2011). Commentary: Competence to stand trial in juveniles and the judgment model. The Journal of the American Academy of Psychiatry and the Law, 39(3), 327–31. Kruh, I. & Grisso, T. (2009) Evaluation of Juveniles’ Competence to Stand Trial: Best Practices in Forensic Mental Health Assessment. Oxford University Press. Otto, R. K. (2007). Considerations in the Assessment of Competence to Proceed in Juvenile Court. Northern Kentucky Law Review. Virginia, U. of. (2012). Restoring Youth: A University-Practitioner Model for Remediating Youth Adjudicated Incompetent to Stand Trial. Warren, J. I., DuVal, J., Komarovskaya, I., Chauhan, P., Buffington-Vollum, J., & Ryan, E. (2009). Developing a Forensic Service Delivery System for Juveniles Adjudicated Incompetent to Stand Trial. International Journal of Forensic Mental Health, 8(4), 245–262. Yanofski, J. (2010). Recognizing Immaturity as a Cause of Juvenile Incompetency to Stand Trial. The Residents’ Journal (American Journal of Psychiatry), 5(6). Cauffman, E., Piquero, A. R., Kimonis, E., Steinberg, L., Chassin, L., & Fagan, J. (2007). Legal, individual, and environmental predictors of court disposition in a sample of serious adolescent offenders. Law and Human Behavior, 31(6), 519–35. Brannen, D. N., Salekin, R. T., Zapf, P.., Salekin, K. L., Kubak, F. & DeCoster, J. (2006). Transfer to adult court: A national study of how juvenile court judges weigh pertinent Kent criteria. Psychology, Public Policy, and Law, 12(3), 332–355. Mulvey, E. P. (2004). Introduction: Pathways to Desistance Study. Youth Violence and Juvenile Justice, 2(3), 211–212. Romeo, R. D. (2013). The Teenage Brain: The Stress Response and the Adolescent Brain. Current Directions in Psychological Science, 22(2), 140–145. Maschi, T., Bradley, C. a., & Morgen, K. (2008). Unraveling the Link Between Trauma and Delinquency: The Mediating Role of Negative Affect and Delinquent Peer Exposure. Youth Violence and Juvenile Justice, 6(2), 136–157. Marksamer, J. (2008). And by the Way , Do You Know He Thinks He’s a Girl? The Failures of Law, Policy, and Legal Representation for Transgender Youth in Juvenile Delinquency Courts, 5(1), 72–92. Viljoen, J. L., MacDougall, E. a. M., Gagnon, N. C., & Douglas, K. S. (2010). Psychopathy evidence in legal proceedings involving adolescent offenders. Psychology, Public Policy, and Law, 16(3), 254–283.